TNT has decided not to renew their Proof TV show for a second season. The life-after-death drama has been cancelled after one short season of 10 episodes. 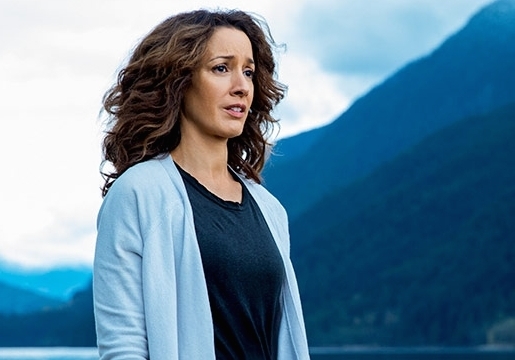 On Proof, Doctor Carolyn “Cat” Tyler (Jennifer Beals) lost her son, saw her marriage end, and became estranged to her teenage daughter. Looking for purpose, Cat is persuaded by cancer-stricken billionaire Ivan Turing (Matthew Modine) to search for evidence that death is not the end and this takes her on a deeply personal and emotional journey. The rest of the cast includes David Sutcliffe, Joe Morton, Edi Gathegi, Caroline Rose Kaplan, Callum Blue, and Annie Thurman. Debuting in June, Proof got off to a slow start with a 0.37 rating in the 18-49 demographic with 2.66 million viewers. The numbers didn’t get better as the weeks progressed and were often worse. The season ended up averaging a 0.31 in the demo with 2.12 million viewers. It was one of the lowest-rated scripted shows on the cable channel. What do you think? Did you like the Proof TV show? Do you think that it should have been cancelled? Would you have watched a second season? I still miss it too, wish they would reconsider and bring it back! Oh. I was wondering what happened. TNT should really do a second season. How do you just drop it like that? I mean. Now is the time to do it!! Omg! TNT missing out on those ratings!!! I loved the series thats too bad that there wont be a seconde season …. Absolutely stupid move by TNT. They should have at least filmed a wrap up episode to give the storyline a ending of some kind. The premise was good. Maybe the time slot was wrong. How seasons did we have to suffer with Anthony Michael Halls ghost touch ability in that series he was in? I won’t invest any time in TNT series unless they start a second season from now on.